I’m sorry but anybody who can get remotely ‘up for’ this selection of international football boredom festivals that are arranged for this weekend probably needs an enima from Dr Seward from Dracula Dead and Loving it. For me the only purpose these intermissions of proper football provide is when we’re on a poor run of form and you just want to forget about it. But as it stands we’re doing ok and after nine wins in a row we all just want the next game to hurry up as quickly as possible. 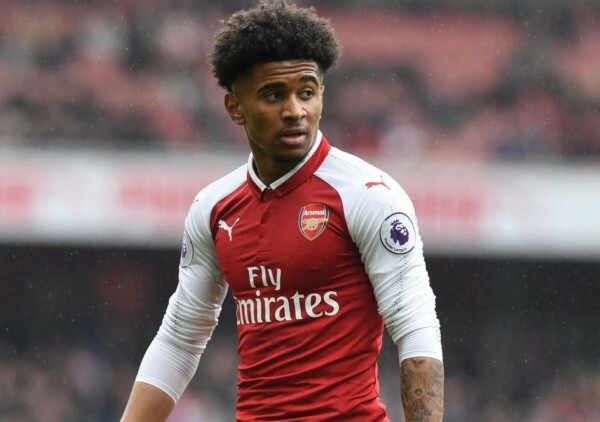 Until then we’re picking up international scraps about Arsenal players but at least there’s a tasty morsel in the shape of Reiss Nelson, who apparently has played for the Under-21s and supposedly has been rather good. He’s been wheeled out to talk about his move to Hoffenheim and with him admitting that he had an option to leave this summer it probably goes to show us that despite the noises that he wanted to sign, it wasn’t a simple decision for the player, so thankfully we got it over the line in the end. And thankfully his start to Hoffenheim looks to be going well. He’s picked a decent club to continue his footballing education to be fair; Nagelsmann is a young and progressive manager and he’s started to integrate Nelson more and more into the first team by the looks of it. Two goals for our on loan wide forward will have done him the world of good and if he continues this upward trajectory, wow, quite a player we might have on our hands next summer. I often curl my lip with a Cyril Sneer when I hear the phrase ‘Like a New Signing’ as I’m sure many of you peeps do. It was often used as a sort of excuse for why we hadn’t done that little bit more in the transfer market. But if Nelson continues to improve, score goals, get games and lay on assists whilst away in Hoffenheim, then he will come back to The Arsenal as a more polished diamond and it will genuinely feel like a proper ‘new signing’. The player that left us was young, bags of talent, a little raw but looked like he had something about him to break through. Playing with the quality of players he’s playing with and performing well will, I’m sure, see him return to Arsenal a completely different player. We certainly have to hope so anyway. We are in need of a wide forward and if Nelson continues to develop like that then there will be a great opportunity for him at the club. Just look how Iwobi has improved under Emery this season and then imagine how expansive we could be if we had another academy product on the other side providing genuine width to stretch defences and provide a bit more balance to the team. The prospect is quite mouth watering indeed. Other than that the only thing left to do from an Arsenal perspective is to cross everything, pray to any and every god, and hope that none of our players get crocked during this set of glorified friendlies. Catch you on the other side peeps.